Antipsychotic drugs are designed to treat a severe psychiatric condition known as psychosis. Psychosis is characterized by the distortion of thoughts during which a person loses touch with reality, often manifesting with hallucinations, paranoia, or delusions. Psychosis has long been treated with a class of drugs known as typical antipsychotics. These were first developed in the 1950s and, while effective, are known to cause Parkinson-like side effects in many users. Today, a newer class of medication known as atypical antipsychotics are commonly used. These were introduced in the 1990s and boast a different side effect profile with far fewer of the Parkinson-like effects than the older agents. 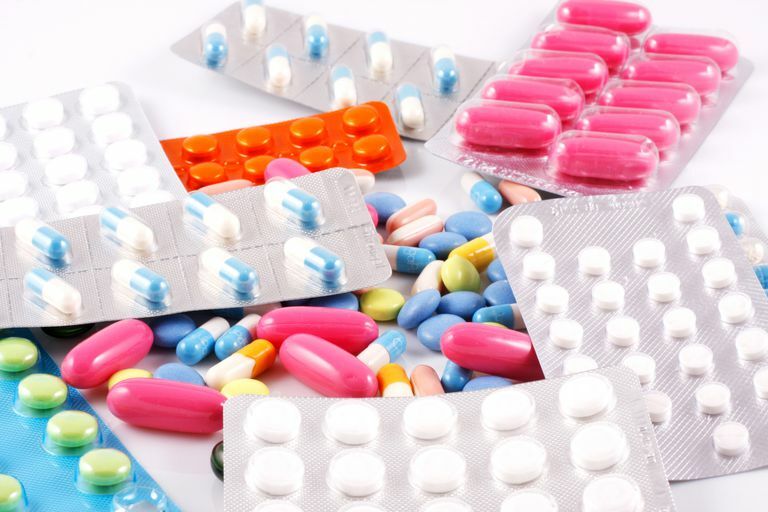 Atypical antipsychotics are commonly referred to as second-generation antipsychotics, while typical psychotics are called first-generation antipsychotics. Both typical and atypical antipsychotics are dopamine antagonists, which means that they impede chemical messengers in the brain known as dopamine. In people with psychosis, dopamine signals are typically abnormal. Antipsychotics block those messages. Atypical antipsychotics also influence a chemical messenger known as serotonin. Atypical antipsychotics are most typically prescribed to treat schizophrenia, and to augment the treatment of major depressive disorder (MDD), bipolar disorder, and schizoaffective disorder. Typical antipsychotics are more likely to cause extrapyramidal side effects in which motor control is sometimes severely impaired, causing tremors, spasms, muscle rigidity, and the loss of control and coordination of muscle movement. In some cases, the symptoms may become permanent even after the treatment is stopped. Atypical antipsychotics are far less likely to cause extrapyramidal side effects. With that being said, they are known to cause weight gain, metabolic problems, and sexual side effects, among others. Abilify (aripiprazole) is used in the treatment of schizophrenia and bipolar disorder but may also be used in the treatment of major depressive disorder (MDD). Side effects include weight gain, headache, agitation, anxiety, insomnia, nausea, constipation, and lightheadedness. Clozaril (clozapine) is a preferred option for treatment-resistant schizophrenia. Some studies have shown that Clozaril decreases suicidal behavior. Clozaril may cause potentially serious side effects, including agranulocytosis (a dangerous drop in white blood cells, and therefore requires ongoing blood tests to monitor for this), and acute myocarditis (heart inflammation). The FDA issued a black box warning in which elderly people with dementia-related psychosis treated with antipsychotic drugs are at an increased risk of death. Geodon (ziprasidone) is used to treat schizophrenia and either a manic or mixed episode of bipolar disorder. It has also been used off-label to treat post-traumatic stress disorder (PTSD). The drug has been known to cause dizziness, arrhythmia (irregular heartbeat), and postural hypertension (a drop in blood pressure when standing). Invega (paliperidone) is used to treat schizophrenia but is also the only oral atypical antipsychotic with a formal FDA indication to treat schizoaffective disorder. Invega may also cause restlessness, weight gain, and sedation. Risperdal (risperidone) is used to treat schizophrenia, bipolar disorder, and irritability associated with autism. While less sedating than some of the other atypical antipsychotics, Risperdal tends to have more extrapyramidal side effects. Seroquel (quetiapine) is used to treat schizophrenia, bipolar and other mood disorders, but is often used off-label to treat insomnia due to its potent sedative effect. When compared to the other antipsychotic drugs, Seroquel has a lower incidence of motor side effects but may cause weight gain, and postural hypertension. Zyprexa (olanzapine) is used to treat schizophrenia and bipolar disorder. Zyprexa can also cause significant weight gain as well as high blood sugar (increasing the risk of insulin resistance and diabetes). With that being said, Zyprexa has a lower rate of extrapyramidal effects than most of the other atypical antipsychotics. Fornaro, M.; Stubbs, B.; De Berardis, D. et al. Atypical Antipsychotics in the Treatment of Acute Bipolar Depression With Mixed Features: A Systematic Review and Exploratory Meta-Analysis of Placebo-Controlled Clinical Trials.Int J Mol Sci. 2016;17:241. DOI: 10.3390/ijms17020241. Kishimoto, T.; Agarwal, V.; Kishi, T. et al. Relapse Prevention in Schizophrenia: A Systematic Review and Meta-Analysis of Second-Generation Antipsychotics Versus First-Generation Antipsychotics.Mol Psychiatry. 2013;18:53-66. DOI: 10.1038/mp.2011.143. Rummel-Kluge, C.; Komossa, K.; Schwarz, S. et al. Head-to-Head Comparisons of Metabolic Side Effects of Second-Generation Antipsychotics in the Treatment of Schizophrenia: A Systematic Review and Meta-Analysis.Schizophr Res. 2010;123:225-33. DOI: 10.1016/j.schres.2010.07.012. Will I Gain Weight if I Take Zyprexa for My Bipolar Disorder? Should You Take Geodon for Your Bipolar Disorder?